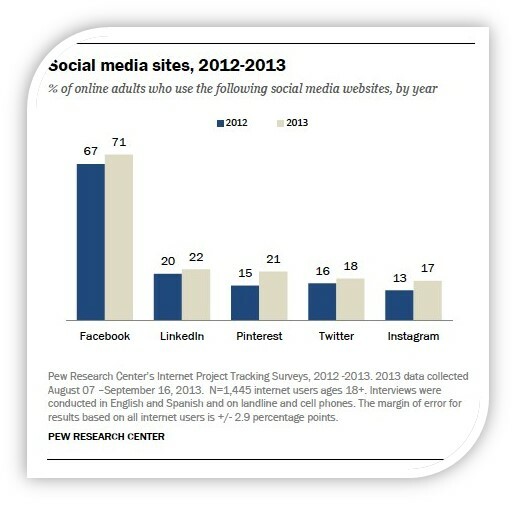 Facebook vs Pinterest vs Twitter: What Should Publishers Use? You’ve probably noticed that you are finding out about news through your social media more than official news channels these days. It’s not surprising. That’s why when 29% of the world’s population is spending an average of 2 hours 25 minutes on social media, publishers like you need to pay attention. It all started around 13 years ago (I still can’t believe it). The Social Times made a great list of that reminded me of the early days of social media. First there was Friendster (2002) and Hi5 (2003) and finally Facebook first became available to Harvard students in 2004. From that point onwards, social media has evolved to a giant content sharing machine that people can’t live without. Unfortunately it seems that great journalism is suffering from lack of traction in the publishing sphere when trying to pull in traffic without social media. Even The New York Times is having its share of buzz envy but have already started making advances towards a new publishing era. In January this year, The NY Times started implementing its new outreach strategy, with Alexandra MacCallum as its lead editor. Her job was to improve the site’s content outreach through a more social approach. This was one of the first signs in the industry that something had to change regarding the promotion of content. The use of social media is widely known as a great content marketing strategy, though for many publishers it can get confusing knowing which one to use. Even the different image sizes can get us all wound up when they change (here is a 2015 infographic that will explain all about sizes). 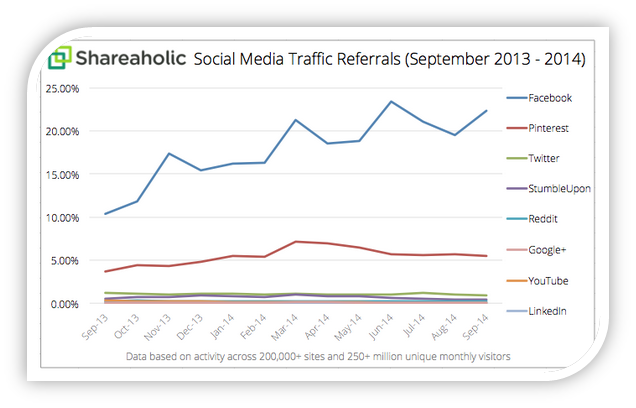 Shareaholic report has shown that Facebook still reigns as king of social media. With an outstanding 22.3% of overall traffic to sites coming from Facebook, it is one of the best places for publishers to promote their content. We all know that trying to conquer every social media platform is extremely difficult for many publishers, especially small to medium sized businesses. If you fall into this category you should think carefully about your audience and which social media tool they are more likely to use. Age; Younger people are drawn to Twitter and Instagram, whereas moms are more likely to be on Facebook. Gender; Females are known to be more active on Pinterest and Facebook, whereas males are drawn to the on the beat Twitter action. Content; Is your publication information heavy, image rich, or news worthy? This will all have an impact on which platform will work better for drawing traffic. The following sections will cover the three major social media platforms and how they can be used by publishers to market their content. This social media giant is probably the #1 go to platform for business and content promotion. As I mentioned earlier, not every social media tool will suit every publisher. However, Facebook has so many users and can reach so many different demographics, this tool that can probably be used by everyone. The only issue with Facebook is that if you don’t have a strong, engaged audience on your page, your efforts will be very limited. So your first job is to build your audience from real readers and real fans of your publication. It’s not good enough to have thousands of ‘bought’ likes on Facebook as they will not engage with your real content and the things you want to promote. In addition, people are much savvier to these buying tricks and will be able to figure out if your page is legit or not. So what can you do to build your Facebook audience? Make sure you publish content regularly. Use tools that can automate the process for you to allow you to focus on other tasks (we use Oktopost). Use hashtag, but not too many (hint: the hashtags trending on Twitter are also applicable to Facebook). Social Bakers report found that 1-2 hashtags is the optimum amount to use to increase engagement. Most publishers have already installed a Facebook Like button to their site, but you can also check out sharing and embedding options on their social plugins page. 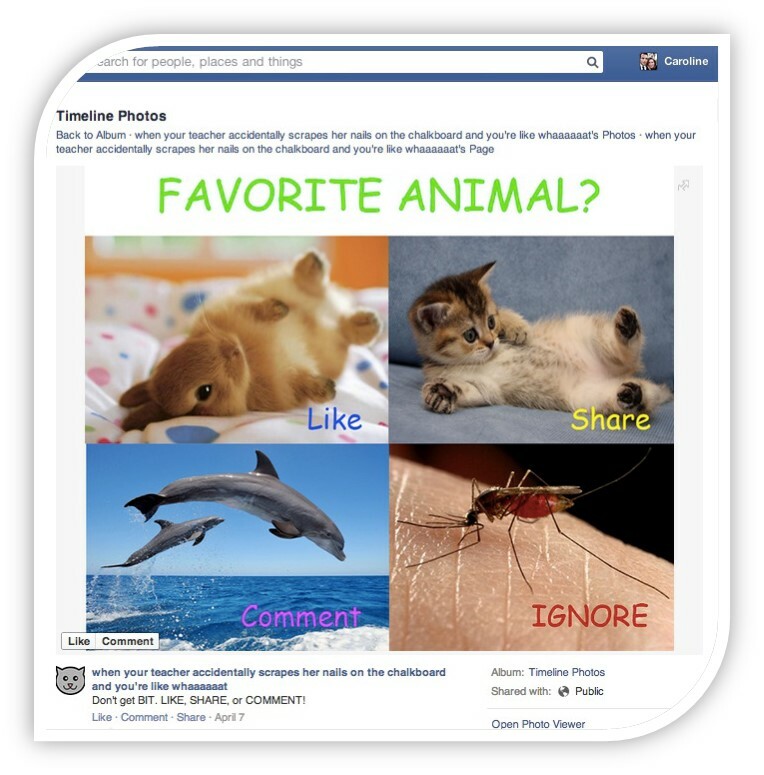 Many marketers are using Facebook’s Graph Search as a way to analyze their audience’s interests and keywords used. Social Media Examiner put together a great guide to help you learn more about this tool. Why does this post work? Topic everyone loves (who doesn’t love Disney). Catchy headline that makes you want to read more. But let’s face it, organic traffic is not what it used to be. Many publishers are now finding that promoting their posts on Facebook needs to be included in their marketing and outreach strategy. 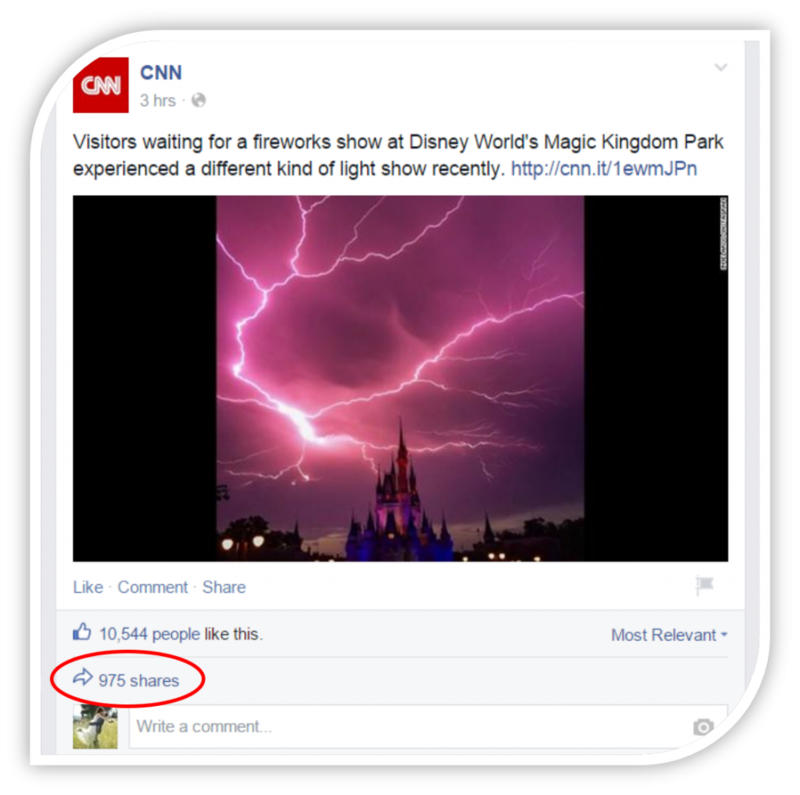 If you are not CNN and are still building your presence in the industry, promoted posts might be a great way to gain more readers. If you are not familiar with the difference between boosting posts and Facebook ads I have put together a few pointers to help you get your head around it. The benefit of using the Facebook Ads option is that it has more specific targeting options which can help you reach a specific demographic for a particular content piece. For publishers who cover many different topics this is a great way to optimize your content promoting strategy as you can create multiple ads for different interest groups. Boosting posts is a quick fire way of setting up an ad for your content. Social Media Examiner has specifically stated that those wanting to really get ahead should be using Facebook’s Power Editor tool. This gives you more flexibility and options with targeting, buying and bidding. In addition to its versatile options, Facebook also allow you to choose different images from their excellent stock collection to test different images on the same ad. This is a great option for those interested in AB testing. Before you choose this option, you should follow the great advice from Glenn @ViperChill; he suggests that before boosting a post you should share it and see what the engagement level is. If you have more than 10% engagement on the post from your own audience, it is more likely to be a success with your ad campaign. The development of Instant Articles this year has made many huge publishers change their way of thinking about content promotion. In 2014 Facebook announced that it was going to clean up news feeds from what they called ‘like-baiting’. This refers to content such as Buzzfeed’s viral posts that were often drowning Facebook feeds and removing attention from other more serious content. In 2015 Facebook offered many publishers that they previously threatened with an olive branch in the form of Instant Articles. Instead of posting links that lead readers out of Facebook to the publisher’s site, Instant Articles opens up like a profile page (and is just as fast). Wired reported that publishers like Buzzfeed, NBC, National Geographic, The Guardian and many more have already started to post content directly into Facebooks system. By inviting many publishers to this new approach of sharing content, Facebook might be leading publishers down the rabbit hole. Once you start pushing content straight into Facebook’s hands you will be at their mercy, including what happens with ad revenue. It was reported in TechCrunch that currently Facebook will keep 30% of all ad revenue sold through their audience network and will provide analytics for publishers so that they are kept in the loop with their content reach. However as we know Facebook can change its rules quickly and as a publisher you need to consider these implications if you are choosing Facebook as your main content promoting platform. Do use images; not just any image, ones with people in them are more likely to create engagement. Also do use images that convey a message from your content. So if you write about technology use images that match the theme. Don’t target Tier 3 countries if your target audience is in western countries– tier 3 countries include Pakistan, Philippines, Afghanistan and India. Though they are cheaper in CPR and they might get you more likes, they are not your target audience and your content may not be relevant, which could damage you in the long run. Don’t use posts that take your readers to another site that is not yours – this might sound logical, but you would be surprised at how many marketers make this mistake. If you are already paying for this promoted post, make sure it at least brings traffic to your site. Do spread your budget over a few days – be aware of the different time zones and where your audience is in the world and tailor your ads to be time specific. Though Facebook continues to hold the majority of the social media shares there is definitely a need to diversify for publishers. That’s where the following platforms could help you. The visual content platform has grown dramatically since it first appeared on our desktops in 2010. Now with a reported 25 billion pins online, it has become a significant contender as a great content sharing social media tool. As a publisher you need to decide if this is the medium for your business and if this is where your audience (both current and future) will find the best of your content. In the past readers would be able to pin articles to their Pinterest boards, but this would only show a main image and link to the site. Now, Pinterest have updated the pins to show the title, author, description and picture. This move towards a bookmarking ‘save it for later’ service is putting Pinterest ahead of many competitors, as well as attracting more male users (Pinterest is reported to have a female heavy user base). According to Shareaholic’s report, Pinterest has actually overtaken Twitter in the social media war for users and is now the no.2 platform for publishers to consider for their content marketing. Many large publications such as the Wall Street Journal, The L.A Times and USA Today are using Pinterest to drive traffic. I love the trend where publications promote their staff on specific boards or even post job openings. I think it is a very creative approach that you can employ and catch people in their down time and really engage them in your content. As well as accommodating news publishers, Pinterest is also reaching into the consumer e-commerce industry; Sephora, a huge cosmetics brand, found that their pinterest followers spend 15 x more than their Facebook fans. This is a huge sign to suggest that certain products can have a significant impact when using the visual platform. With this type of movement it is easy to see that Pinterest is attempting to conquer the social media sphere from all sides. Though it cannot compare to the 400 million users on Twitter (72.8 million users are currently on Pinterest), there is a big reason why publishers should be using this platform for their content marketing. And it’s mobile. The report by ShareThis shows that Pinterest is king of iPad and that ISO users are more active on this platform. With the growing emphasis on mobile devices and sharing habits of users, it seems that Pinterest is on the right track for growth. If you want to use Pinterest as your content sharing platform there are methods that will help you do just that. Use Videos: You might not know this but Pinterest is growing in video pins. This is an important factor to consider as we all know that video content is going to be huge this year. Go to your YouTube or Vimeo video and share it to your board. It will play directly in Pinterest and is optimal for iPad users. Podcasts: If you are a publisher that producses a lot of podcasts you can also upload them to Pinterest and reach a new audience. Find out the best way to make successful podcasts from our Marketing Director, Avishai Bitton. SEO: something that many publishers have missed out on so far. Pinterest boards can appear on Google’s Search Engine, so make sure your images have strong keyword names as well as in your pin descriptions. If you want to explore keywords that work best in Pinterest, learn more from their Guided Search Tool. In my opinion, working with Pinterest is a two way process. You want to bring your readers to use this social media tool so that you can continue using their fantastic features. On the other hand, Pinterest needs to continue evolving and providing options that are attractive and beneficial to publishers. One of my favorite social media tools is Twitter and there are many reasons for it. For many people it is a go to place when they want to find out about trending news and many events are actually heard about first through tweets and #hashtags. I mean who can forget this Oscars tweet? For this reason, publishers have started to push stories through this social media giant as a medium to reach people with breaking news. It is not the initial instinct of an old school reporter to resort to tools like Twitter, though more and more journalists have realized how far their content can reach through social media. It drives traffic: Your staff members could have thousands of followers that are not following your company profile, who could be interested in your content. Employee advocacy is the natural way to gain more readers through your staff network. Personalized content: On Twitter people love to follow other people, rather than companies and they are more likely to engage with a personal tweet. When your staff members writes a headline that conveys their own view point on a topic it will generate more interest than your standard news headline. This is the magic of Twitter. Creates interest: When a tweet has even just one favorite or re-tweeted, it is more likely to be clicked on by others. By encouraging your employees to do this you can create more buzz and curiosity from others. Make sure that you never force or pressure your employees to take part in this strategy. It has to be natural for it to last in the long run. 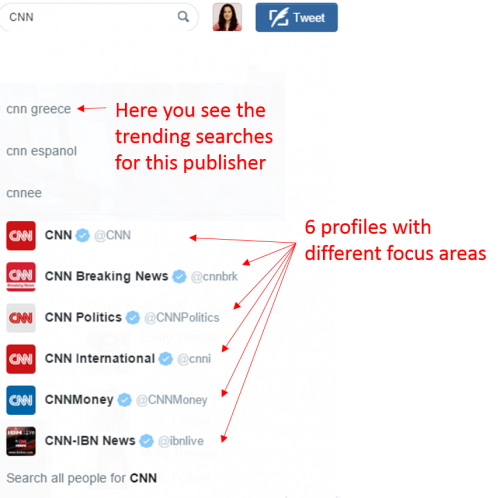 If you are a large enough publications with a focus on many different subjects you can consider creating separate Twitter profiles. Use CNN as an example. They have 6 different profiles that tweet different types of content. I think of it like a page on your site, many people just read one section of your site i.e. technology or entertainment. The reason why this works on Twitter is that people are increasingly more closed in who they follow and this allows them to choose a specific area they are interested in receiving news from, rather than a general feed. 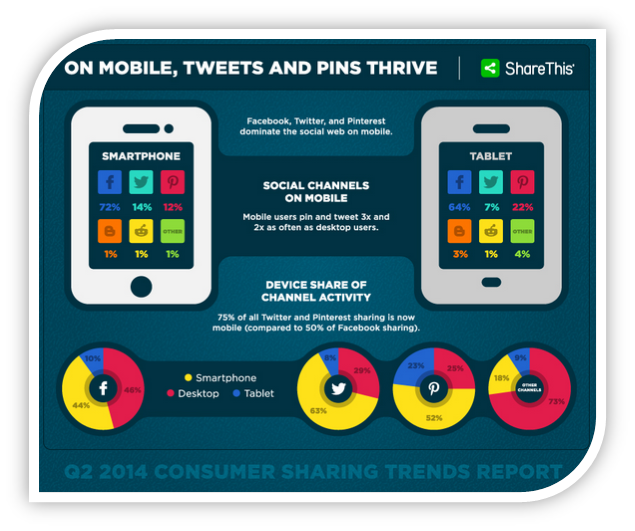 To make the most of using Twitter you have to be aware of what is trending in your industry. This is a time consuming job, but it is part of making your efforts on this social media platform work. There are many tools you can use that will analyze the web and give you ideas and direction for what you need include in your tweets. For example, you can coordinate related content to breaking news to maximize exposure. Yes this means that you can’t just set your Twitter content on autopilot, but in the long run it will help you build a strong following that could send your content viral. Dan Zarrella has written a lot about this topic, and has a great report you can get for free on his blog. Twitter homepage – the Twitter team has made it very easy to see the top trending topics using hashtags to categorize. You can find this on the left hand side of your homepage. What the Trend – using this tool you can find out whats trending in different parts of the world. Topsy -I love using this to check out trends over time; the social analytic section is really useful in comparing different topics over a period of time. I really hope that my advice has given you an idea of where you want to focus your resources when it comes to driving traffic through social media. Unfortunately there is no quick fix, or one fits all solution. 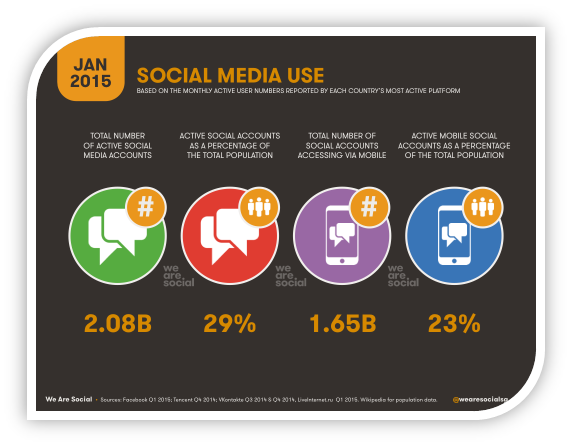 Granted, not everyone can afford to utilize more than one social media platform efficiently. For me, Facebook is the mothership everyone wants to succeed on, but Pinterest and Twitter are all in the race in different ways. It’s up to you to decide if you are willing to risk the jump or stay where you are. You have to remember that the tools are there to be used; but it really depends on your marketing professionals understanding the anatomy of each platform and them making an informed decision that will really make the difference between failure and success.